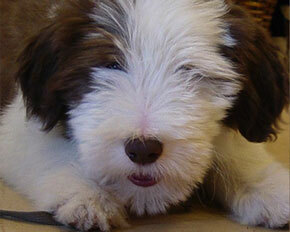 DOGSmart’s puppy classes are designed to help you and your puppy get more out of life together. Classes introduce the foundations of basic obedience such as sit, come, down and learning to walk on a leash. Going beyond the basic commands, classes teach you how to read your puppy’s body language for more effective results in training. Instructors will provide information on effective house training and proper handling techniques. DOGSmart’s puppy classes are a great way to learn all about taking care of and enjoying life with the newest member of your family. Important Note: Puppies must be between 10 to 20 weeks of age with 2 sets of vaccinations in order to attend classes. One-week notice prior to the date of the first class is required for cancellations or refunds. We are unable to provide refunds once classes have started. Due to the nature of Learning Games and Puppy Agility classes, we are unable to offer “make-up” classes for any classes that you miss. Dates and times of classes are subject to change. Visit our website or give us a call for more information and to check space availability in courses. Please equip your dog with a flat buckle collar, front clip harness, or head-halter only for all classes. All other types of collars including pinch, choke, martingale and shock collars, as well as retractable-leashes are not permitted. This lively and energetic program is great for both puppies and owners. In this program your puppy will learn the importance of socialization to other dogs, people, and objects while developing proper social skills and good play behaviours in a safe and motivational environment. Course content includes an introduction to basic commands. Behaviours such as house training, bite inhibition, jumping up, as well as other topics such as grooming, health and nutrition are discussed. Dog's love to learn! your dog will be encouraged to experience the world through their paws and nose. Explore and capture your dog's creativity and talents. Prerequisite: Your dog must have successfully completed “Puppy SmartStart” in order to register and attend this course. Agility programs are a great way to create a strong bond with your dog by learning to communicate with each other, exercising, and most importantly - having fun! Puppy agility introduces your puppy to equipment and basic agility activities such as small jumps, target work and tunnels. Prerequisite: Your dog must have successfully completed “Puppy SmartStart” in order to register and attend this course.